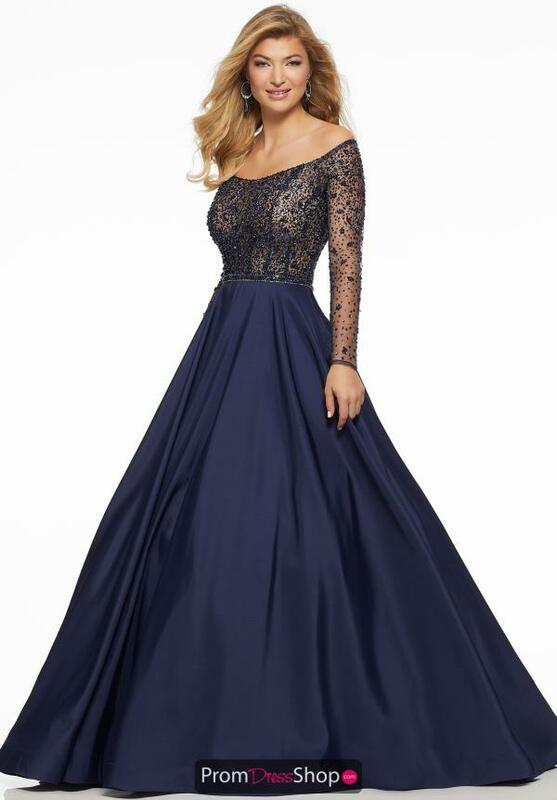 Up the drama factor and rock this long sleeve gown 43031 for your senior prom. Featured is a fitted bodice embellished with sparkling bead work. The off the shoulder neckline is elegant, forming into fitted long sleeves. The full, a line skirt completes this one of a kind gown with gorgeous volume that is sure to have all eyes on you.